There is no sport on earth that is more shoe-conscious than basketball. 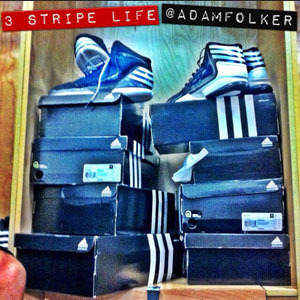 The right basketball shoes will give a player their desired level of support, durability, stability, and flexibility. Basketball is a game of varied movements – jumping, moving forward, backward, and side-to-side, constantly stopping and going. This necessitates a shoe that can handle these tasks well. These factors, along with your style of play, can make your needs vary significantly when it comes to choosing the right basketball shoe. Size is the first thing to consider when buying basketball shoes. Before you buy a pair of shoes, make sure they fit properly. The length can be assessed by pushing your thumb between the end of the shoe and your big toe. An ideal amount of space is about the size of your thumbnail. Snug but not tight is a good general rule as far as the width of a shoe. Walk around in a pair of shoes before buying them, even taking a few running steps to make sure the heel does not slip. It’s important to note that the size you will need may vary depending on the brand of shoe that you choose. If buying a brand of shoe that you normally don’t buy, it’s even more important to try them on before making your decision. From high-tops to mid-tops to low-tops; different styles of shoes offer different levels of support, so it’s important to choose the type of basketball shoe that fits your playing style. For a player whose game is speed-oriented, a lightweight low-to-mid-top shoe with medium support and flexibility would be ideal for maximum freedom of movement. In a lighter shoe, you will be sacrificing some protection in favor of a greater freedom of movement, but if speed is a major part of your game, this sacrifice can be worth it. For a player whose game is more all-around or heavily based on power and post play, a heavier shoe with superior ankle support would be better because of the increased stability it offers. Most players select high-tops for the extra protection they provide, but there are obviously many factors to be taken into account when deciding between high-tops, mid-tops, and low-tops. Basketball shoes are often specifically designed for either indoor or outdoor use. Shoes that have a sole with a rubber surface are intended to give the player traction on an indoor court. Shoes with heavier soles are generally made exclusively for playing outdoors, as they are made to handle the more rugged conditions of outdoor courts. Take into account what kind of surface you will be primarily playing on when considering which type of basketball shoe to get. No discussion about choosing basketball shoes would be complete without mentioning a pair of shoes that can tell you how high you just jumped. Thanks to modern technology, Nike has unveiled several products (all shoe-related) that add a whole new dimension to the shoe-selection process. Nike has collaborated with Apple to develop a shoe with a sensor that keeps track of your vertical jump among other things. If you want to take your basketball training to a whole new level, you can’t go wrong with the Nike Hyperdunk+ shoes, or any of the other products in this line of high-tech sneakers. All of the same factors apply just as when searching for other shoes, only there happen to be a host of added features not found in most other shoes. All of these extra features are certainly not necessities, but helpful nonetheless. No matter what you choose to wear, take into account not just what the latest trend is, but what will help you become the player you want to be. Don’t get caught up in what brand of shoe that you want. Be open to finding the shoe that will work the best for you as a basketball player. Remember, it’s not only about how the shoes fit you, but how you fit the shoes.